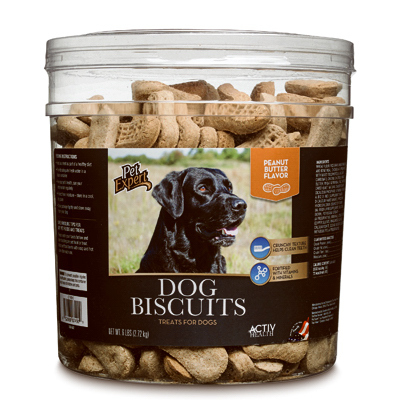 Grange Co-op: Sunshine Mills Pet Expert Dog Peanut Butter Treats 6 lbs. Sunshine Mills Pet Expert Dog Peanut Butter Treats 6 lbs. Pet Expert 6 lb, fortified with vitamins & minerals, beef, chicken, turkey, bacon, sausage, naturally preserved, barrel.